When water sits stagnant for a while any residual disinfectant can lose its efficacy and bacteria could begin to grow. Also, the water may start to take on contaminants from the plumbing if it sits in contact with fixtures, pipes, etc. for an extended period of time. People living in older homes should definitely consider flushing their water lines after a few days away from home since older homes more than likely have older copper plumbing that may have gotten connected using lead-based solder. The longer the water sits idle in metal plumbing the greater the risk of metals dissolving into the water. Testing for metals in drinking water? 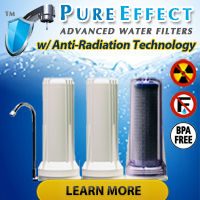 Typically the action level, or concentration of dissolved metals in water that warrants immediate action on the part of homeowners as suggested by the USEPA, gets measured in parts per BILLION so make certain the test kit you select can accurately detect concentrations of dissolved metals in the parts per billion range. We have found that the SenSafe Heavy Metals Check test strips do an excellent job of detect the presence of dissolved metals in the parts per billion range. This product has a low detection level of just 10 ppb, requires no formal training, and has a total test time of well under 5 minutes. Why test for metals like lead in drinking water? Time and time again studies have shown a direct correlation between the presence of dissolved heavy metals such as lead in drinking water and birth defects, developmental disabilities in children, gastrointestinal disorders, organ damage, etc. In many cases the dissolved metals in a home’s drinking water will have no distinct taste, color or smell to them and still exist in concentrations linked to the health issues mentioned above. 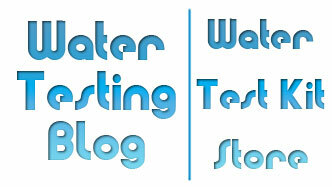 Only testing for metals in drinking water on a regular basis can alert homeowners to their presence. « How Dangerous are the Arsenic Quick Test Kits?